Remember When Switzerland Ruled the World of Household-Size Solar? Big solar versus distributed solar has become a major issue in the environmental community—large solar plants require grading and other disturbances to the ecology of the area while rooftop solar presents none of these problems. Steven Strong, a pioneering solar architect and longtime advocate of distributed solar, described the added expense incurred in putting up a field of photovoltaic modules for large-scale electrical generation: “You’ve got to buy land,” he pointed out, dig lots of holes, pour lots of concrete, dig trenches, bury conduits, build foundations and support structures, buy a large inverter to change the photovoltaic-generated DC current into AC, construct a building in which the inverter is placed, construct a building in which the inverter is placed, [and] purchase switch gear and a switchyard and transformer. And because your station is usually far away from where people live, you have to spend money on transmission lines to get the electricity where the need is.” In contrast, none of the outlay in time, money, or effort is necessary if the solar modules are placed where the electricity will be used. In the mid-1970s and early 1980s, when the governments of developed countries began to fund solar-energy programs, they tended to favor large-scale, centralized photovoltaic plants over small, autonomous, individual rooftop units. After all, that was how electricity had been produced with other power sources. “The vision was huge solar farms—gigawatts of solar cells,” a participant in the design of these large-scale photovoltaic installations attested. On-site photovoltaic- generated electricity also makes renewable energy economically more attractive than power generated by a large solar electric plant, because it “competes at the retail level rather than at the wholesale level” with other producers of electricity. The government took that approach, according to America&apos;s most prestigious science body, because of “twin assumptions that traditional” methods of producing power “should determine the shape of new energy systems and that ‘big is better.’” Solar cells, in contrast, owing to their modular nature, can be placed on-site where the electricity is needed, and tailored to meet the exact needs of the consumer. A century later the debate over how to situate photovoltaics intensified when, at the end of 1982, a California utility built, with government funding, a megawatt photovoltaic plant. That led engineer Markus Real to demonstrate that dispersed photovoltaic units on already-built structures could be an alternative to centralized photovoltaic stations. He formed Alpha Real, a small company that installed photovoltaic systems. The company became well-known in Real’s native Switzerland after it won the world’s first solar-car race, staged in Europe in June 1985. Almost every Swiss had seen the "Mercedes Benz powered by Alpha Real" devastate the competition. Capitalizing on its name recognition at home, Alpha Real continued making milestones in photovoltaic applications. For example, the company built the world’s first photovoltaic-powered tunnel-lighting system high in the Alps. As Real and his company gained experience, they made an important discovery about the centralization of solar power production. In a traditional power plant, each incremental enlargement of its turbo generator results in a threefold increase in power. Therefore, size is a major factor in the cost of generating electricity, and it encourages the building of bigger power plants, which centralizes power production for a large area. The same rule, however, does not apply to electricity generated by solar cells. 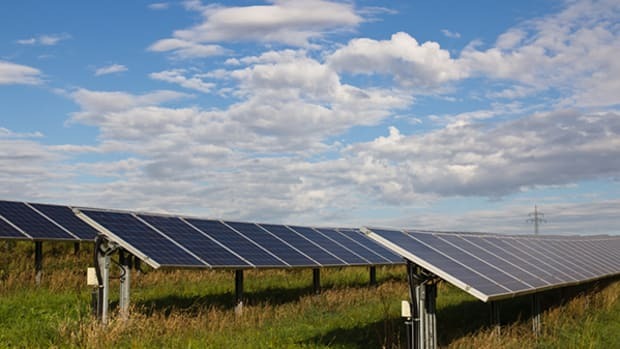 The price of energy produced by photovoltaics decreases only as the cost of the production drops, which happens as the number of modules manufactured rises. To prove to skeptics the value of placing photovoltaic units on rooftops instead of installing them in large, faraway generating plants, Alpha Real initiated its revolutionary Project Megawatt. Real called the program “the answer to [the] large multi-megawatt installations” that had gained favor throughout the world. Alpha Real advertised over Switzerland’s airwaves and through the nation’s newspapers in 1987 for “333 power-station owners.... Having a rooftop exposed to the sun is the only prerequisite.” People responded enthusiastically. Soon three kilowatts of photovoltaics went up on each of the 333 rooftops for a total of one megawatt of dispersed power. A special electronic device called an inverter changed the direct current from the panels to the alternating current used on power lines. The device used by Alpha Real allowed ratepayers and a utility company to interact in the production of electricity: not only did the electricity derived from the sun power the houses, but when people had more than they could use they sent it to a utility company through the power lines and received payment for it. At night or during bad weather, when the panels did not generate sufficient power, the homeowners bought electricity from the utility. Electrical generation became a two-way street. Alpha Real’s 333 installations constituted at that time the largest demonstration of photovoltaic systems on buildings. People saw the logic: rooftops in Switzerland had the slope optimal for solar-energy harvesting, and these power plants were located right next to the buildings’ electrical connections. 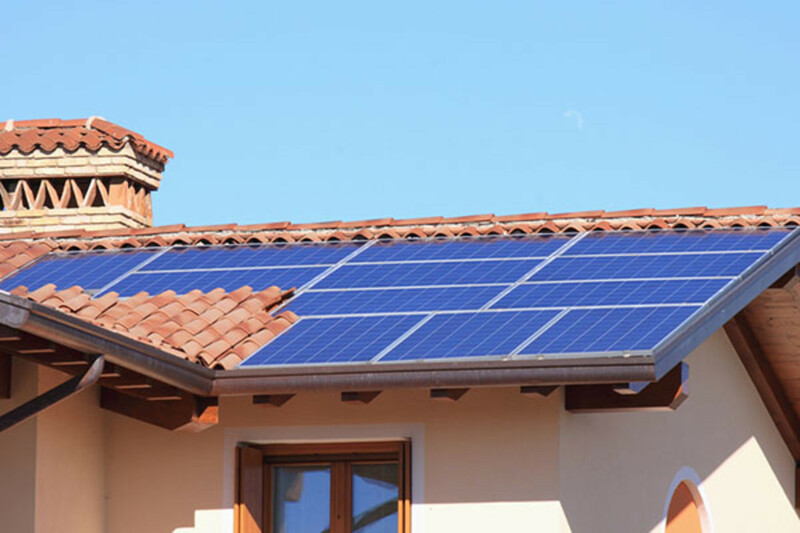 Donald Osborn, formerly director of alternative-energy programs at the Sacramento Municipal Utility District in California, outlined other advantages of on-site photovoltaic electrical generation, for both the consumer and the utilities. “You reduce the electricity lost through long-distance transmission,” which runs about 30 percent on the best-maintained lines. Structures with their own photovoltaic plants decrease the flow of electricity through distribution lines at substation transformers, “thereby extending the transformers’ lives. And for a summer-daytime-peaking utility,” Osborn added, “you can offset the load on these systems when the demand for electricity would be greatest,” helping to eliminate “brownouts in the summer and early fall.” On-site photovoltaic-generated electricity also makes renewable energy economically more attractive than power generated by a large solar electric plant, because it “competes at the retail level rather than at the wholesale level” with other producers of electricity. As solar becomes dominant, the role of utilities will inevitably change. “The electricity network company could essentially be an insurance company against not having sunshine when you need power,” said Laszlo Varro, an economist for the International Energy Agency. Or they can enter the photovoltaic rooftop business themselves, as Southern California Edison has, helping to lead the transition from centralized to distributed generation of electricity in much the same way as large telecommunication companies have evolved from being owners of landlines to also being purveyors of cellular services. From the book Let It Shine. Copyright © 2013 by John Perlin. Reprinted with permission from New World Library. The German experience offers an excellent model for creating a solar cell marketplace.